Use the flowers as garnishes, or stuff with soft cheese. The flowers can be minced and added to butters and the immature seed heads can be pickled. Nasturtiums are a popular choice for adding color to salad mix. Peppery-flavored foliage is also edible. 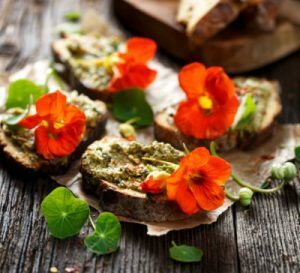 In Latin nasturtium literally means “nose twist.” While most edible flowers have a subtle flavor, nasturtiums knock your socks off with their peppery taste. Plus, it’s not just the flowers and buds that are packed with a zippy flavor; the young leaves are tender and edible as well. These bright, 2″ blooms of red, pink, orange, and yellow are held above light-green foliage. Also known as garden nasturtium and Indian cress. Expect flowers from early summer through fall in cooler climates. In milder growing conditions, nasturtiums bloom fall through spring, and tend to fade in summer heat. Nasturtium is an annual that you can grow for pretty foliage, climbing cover, and pretty flowers, but it can also be eaten. Both the flowers and leaves of the nasturtium are tasty eaten raw and fresh. The leaves that are edible, like an herb or salad green, but you can use the flowers too, for culinary decoration and for eating. 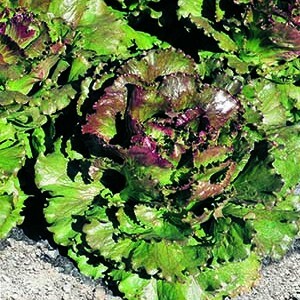 Both the leaves and the flowers have a peppery, spicy flavor and add a bite to green salads. They can also be used in cooked dishes, but should be added in the last few minutes to avoid overcooking. Both the flowers and leaves, chopped, can be used in vinaigrettes, sauces, and dips. You can even stuff the larger leaves, like you would grape leaves. Use the flowers to decorate desserts too. Use the flowers as garnishes, or stuff with soft cheese. The flowers can be minced and added to butters and the immature seed heads can be pickled. 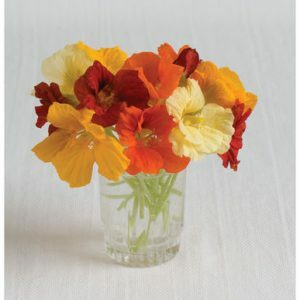 Nasturtiums are a popular choice for adding color to salad mix.